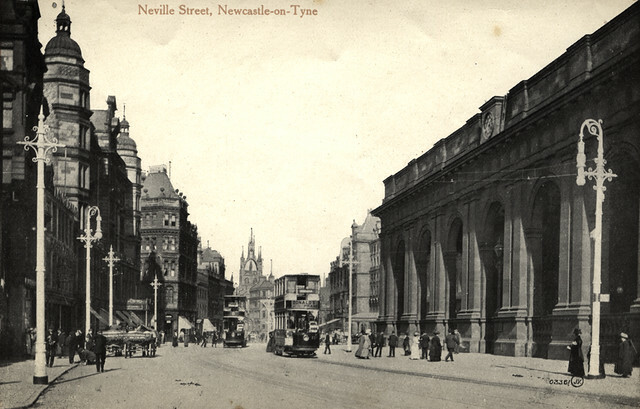 Neville Street in Newcastle was built in 1835 to connect Collingwood Street with Scotswood Road, as part of the 19th Century redevelopment of the city centre. 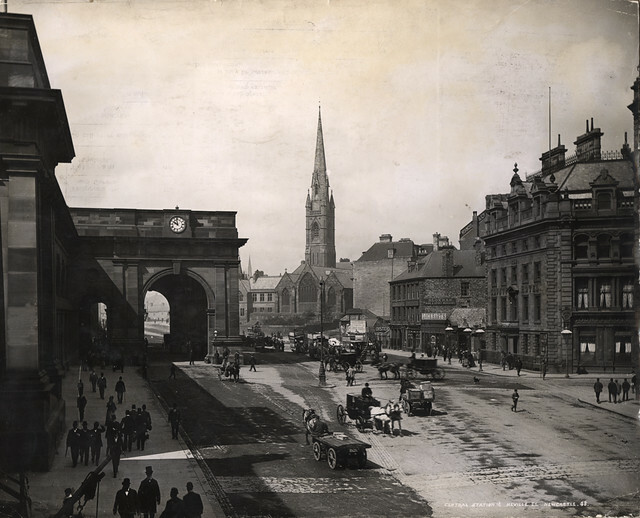 In building the street, a large section of the medieval Town Walls, including Stank Tower were demolished. 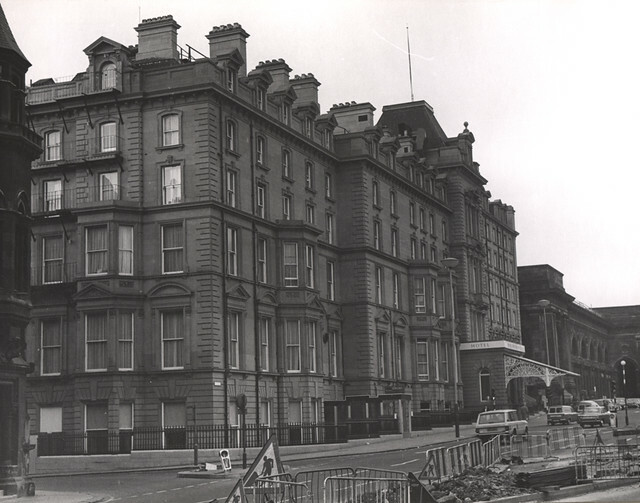 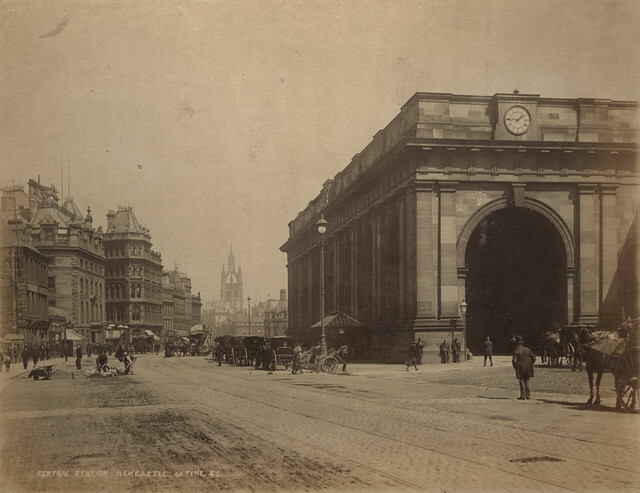 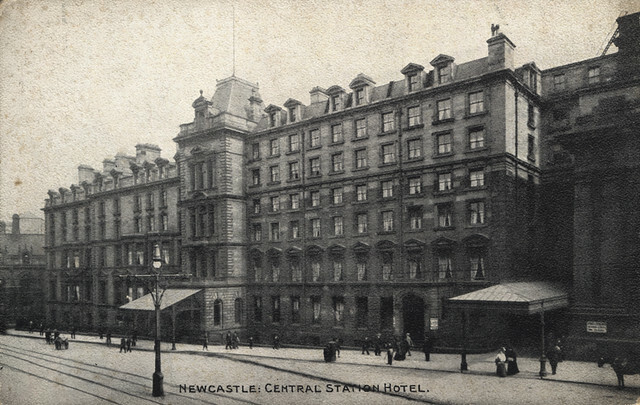 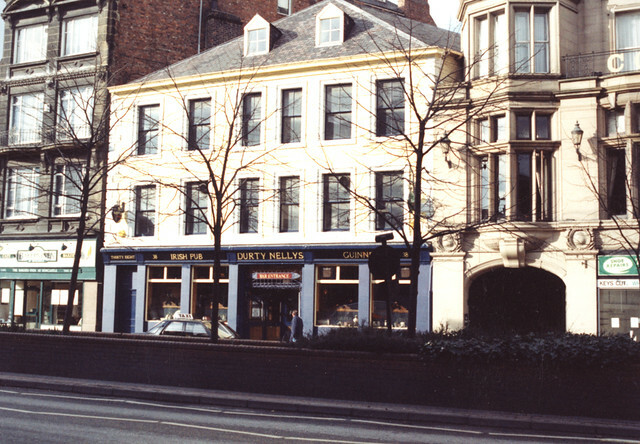 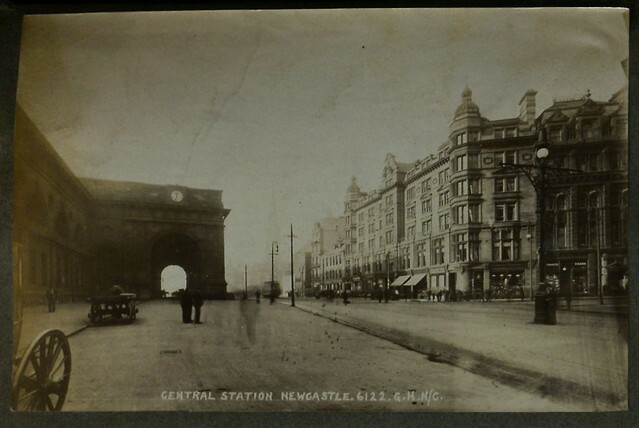 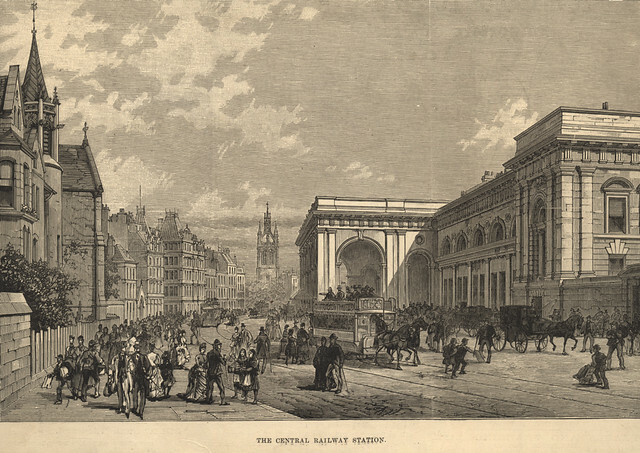 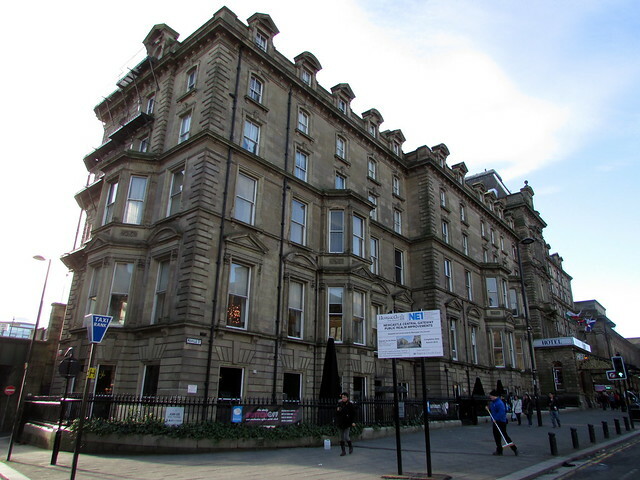 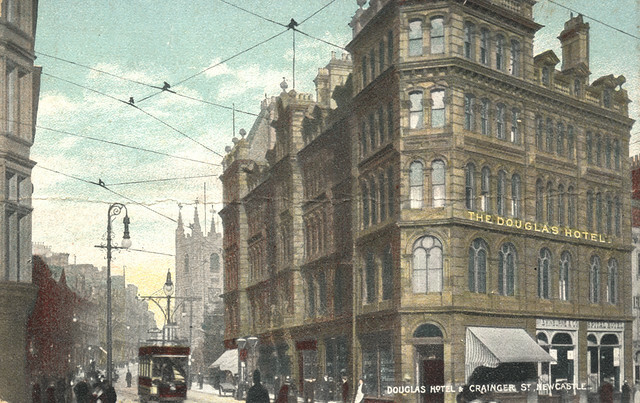 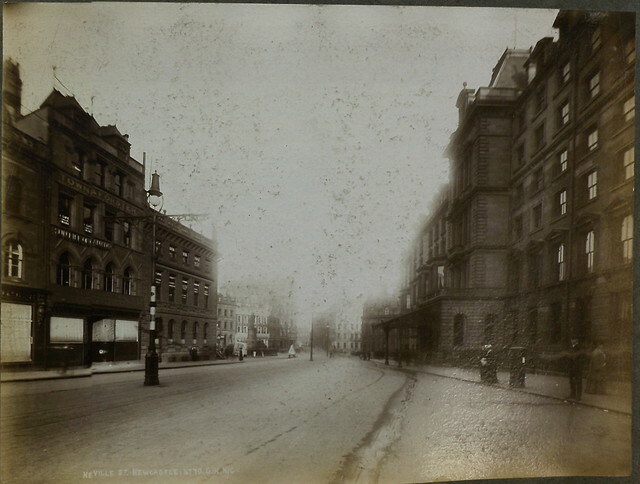 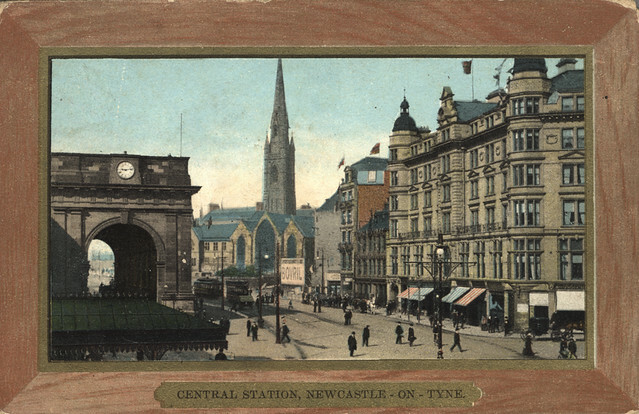 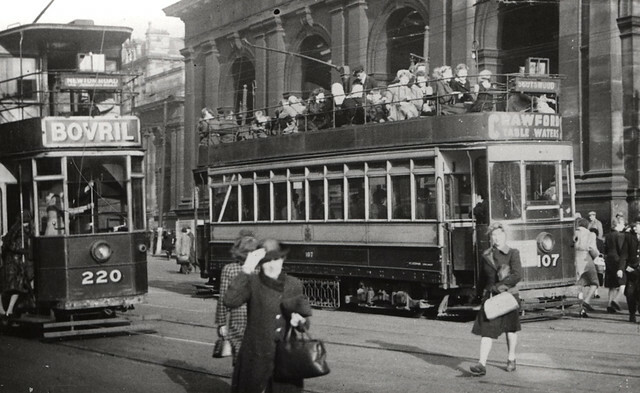 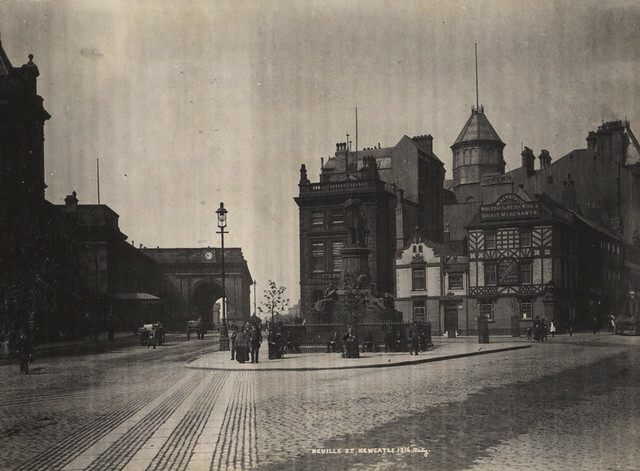 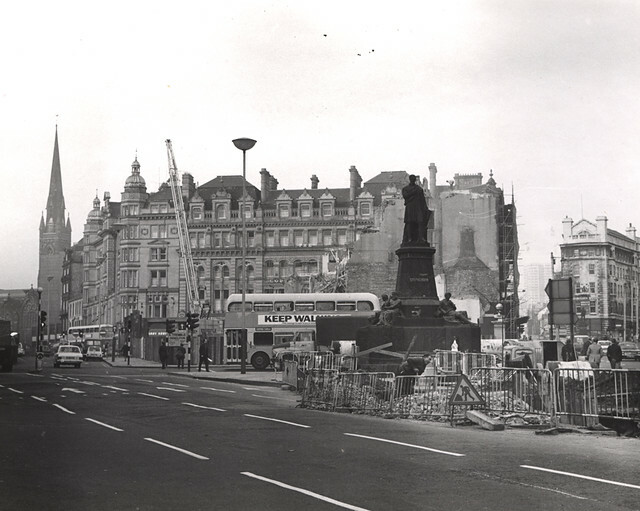 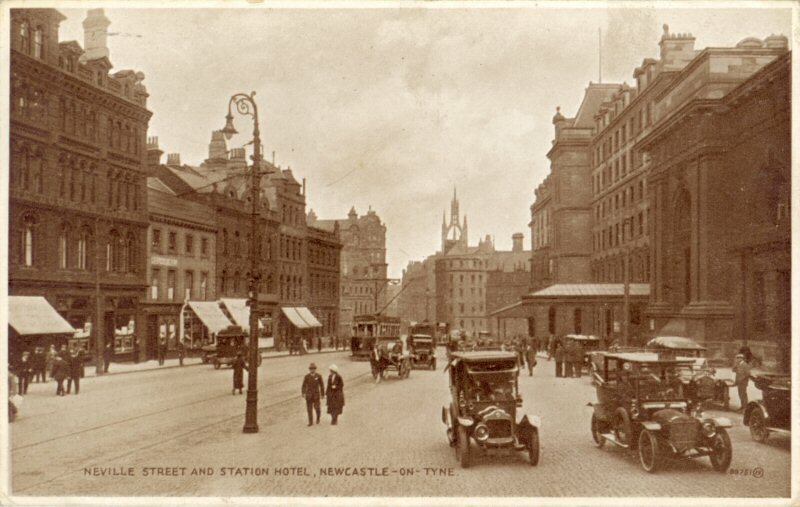 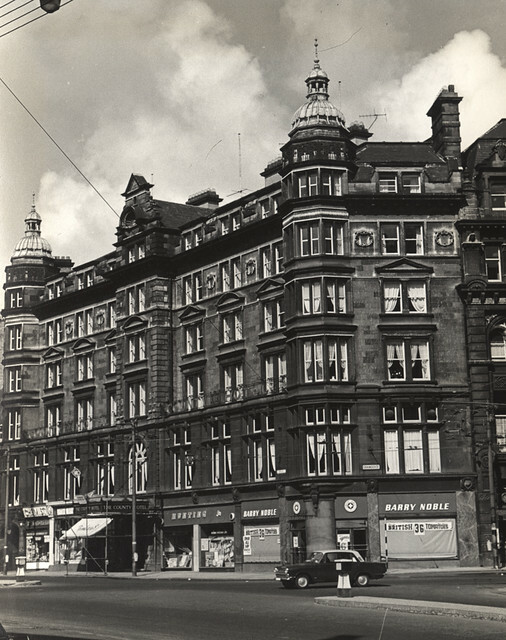 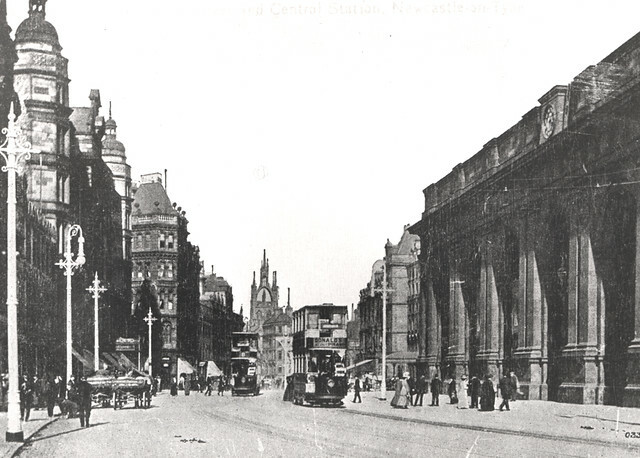 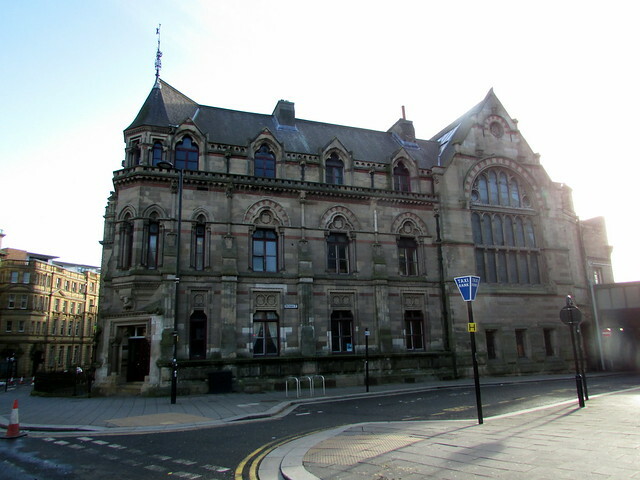 Neville Street has many notable and listed buildings, including Newcastle Central Station and The Royal Station Hotel (both c1850 by John Dobson). 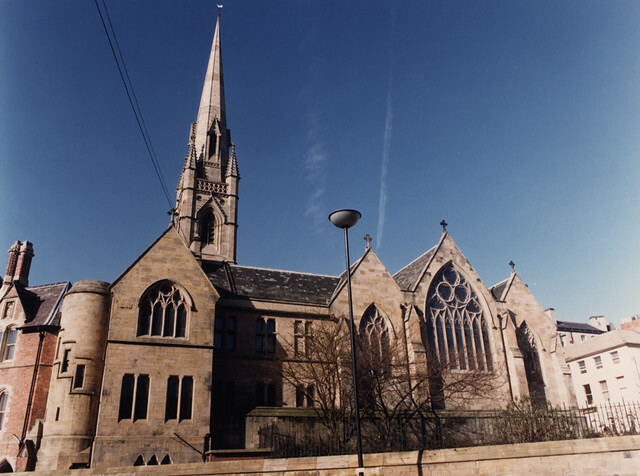 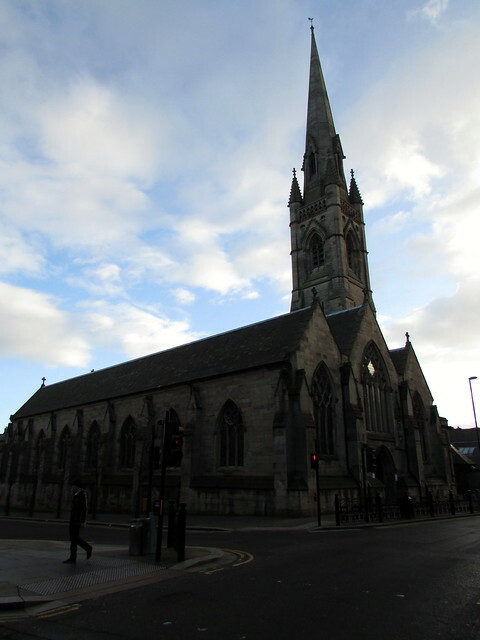 St Mary's Cathedral (1844) is located off Neville Street by the junction with Clayton Street West. 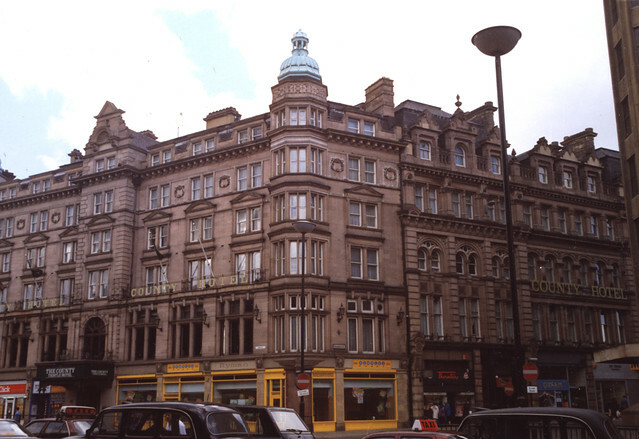 Leading off Neville Street are Pink Lane and Pudding Chare (both with Medieval origins) and Grainger Street, which starts opposite Central Station provides a route up to Grey's Monument and the shopping centre of Newcastle. 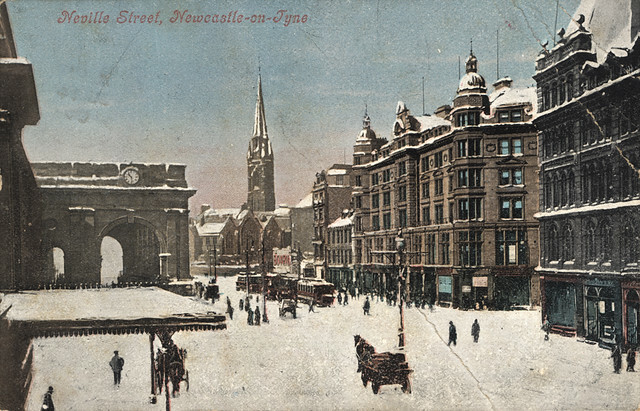 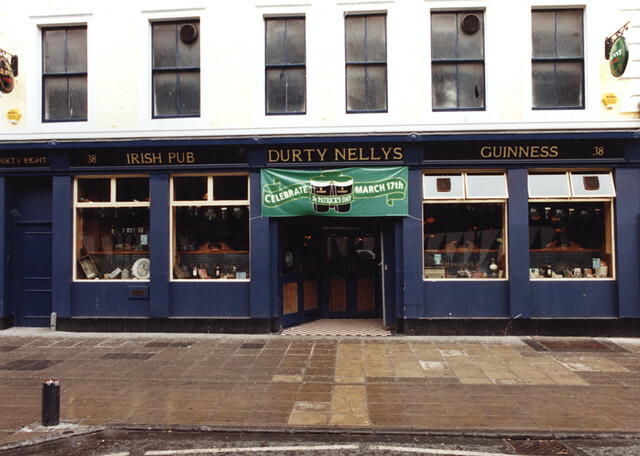 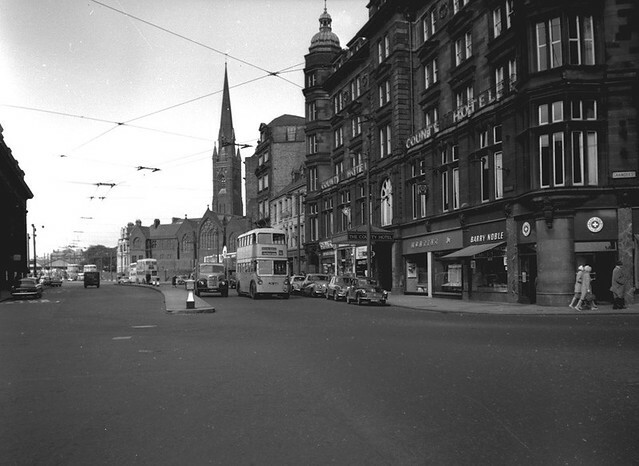 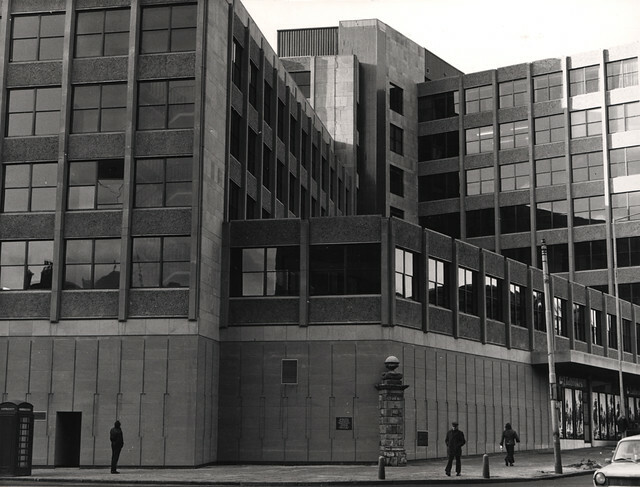 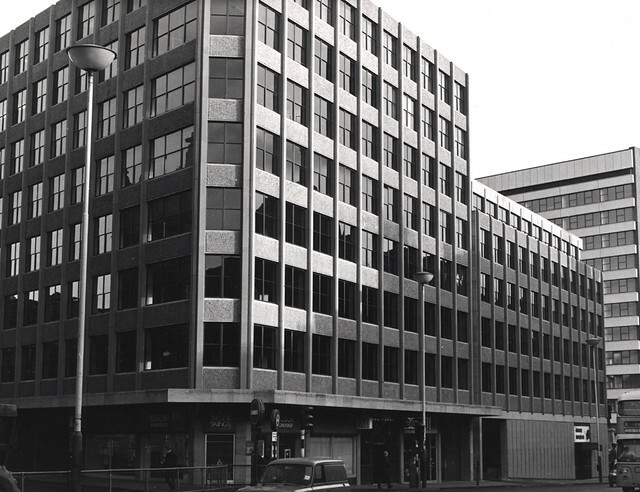 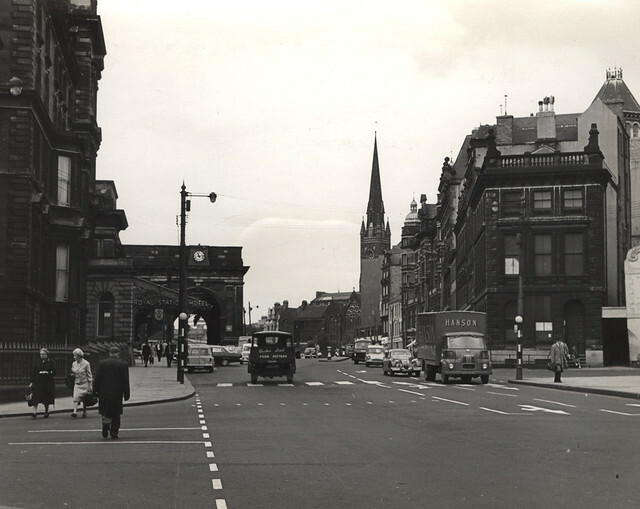 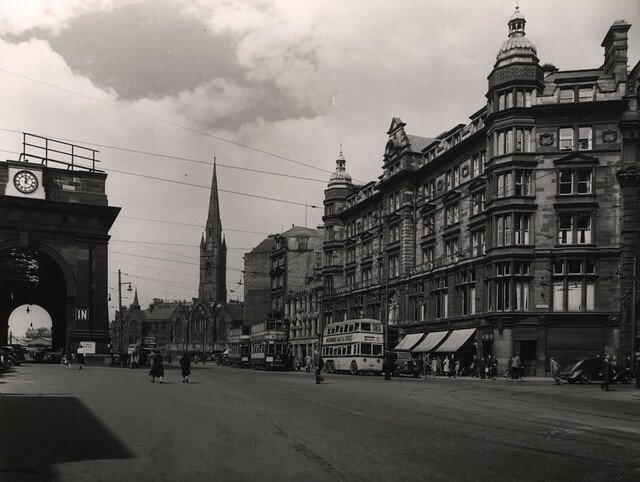 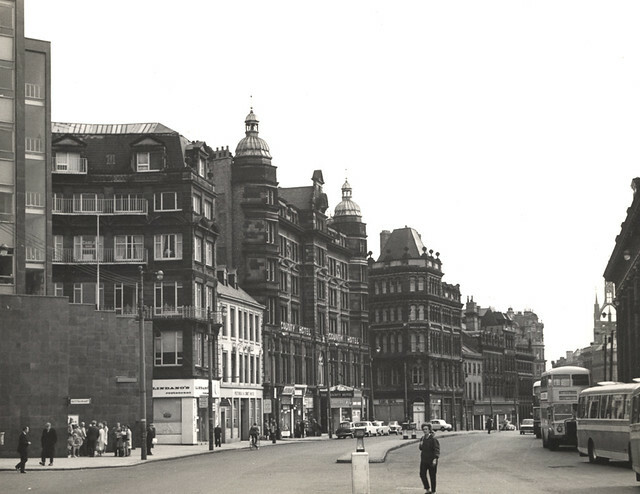 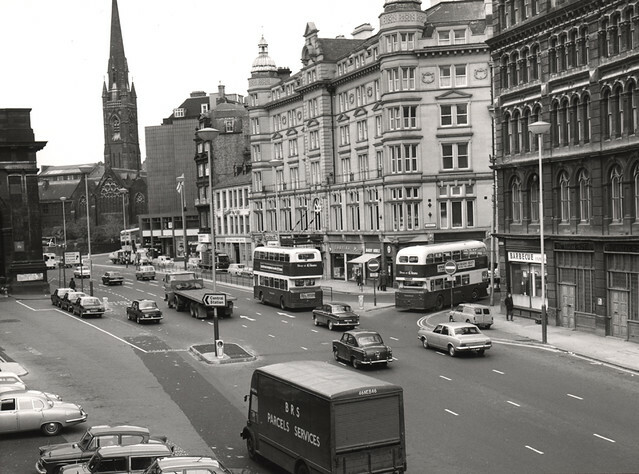 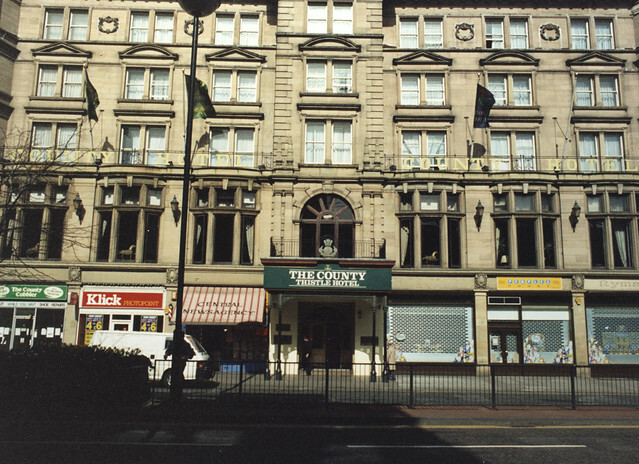 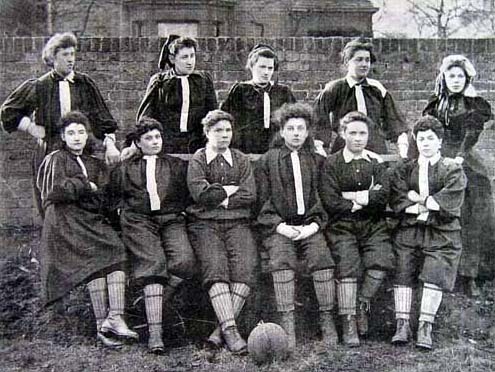 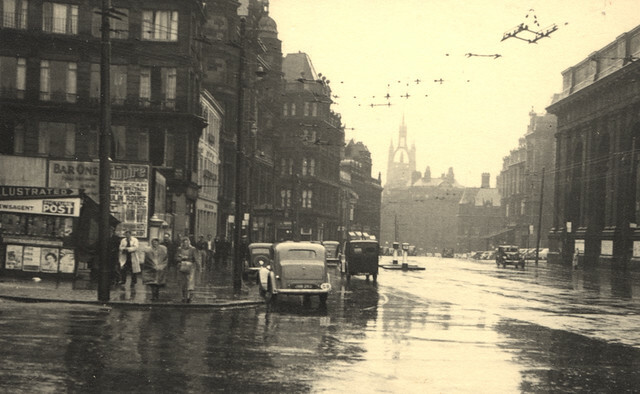 Today Neville Street still runs from Collingwood Street, near the junction with Westgate Road, going west onto Westmorland Road by the International Centre for Life. 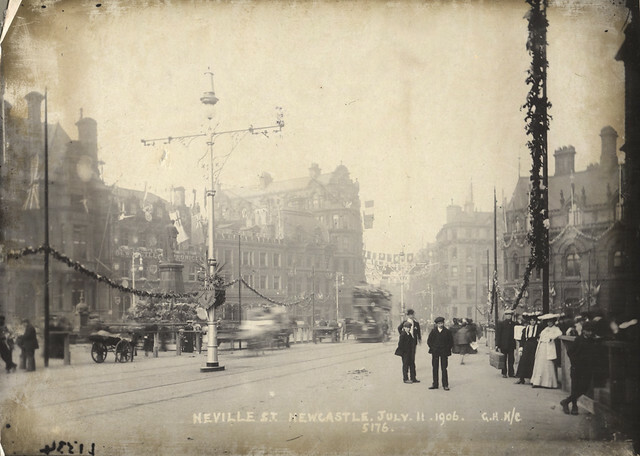 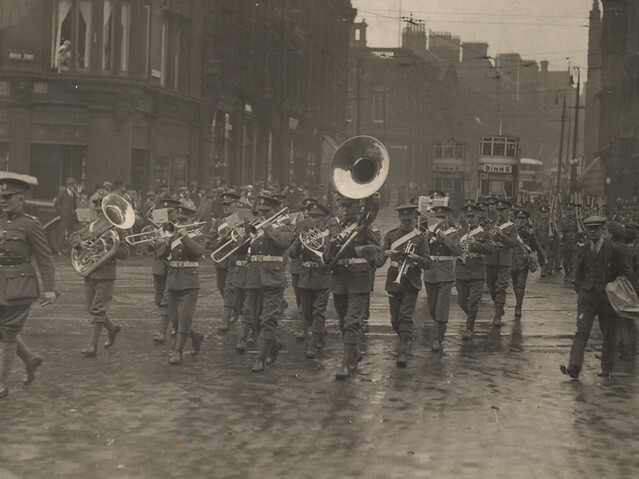 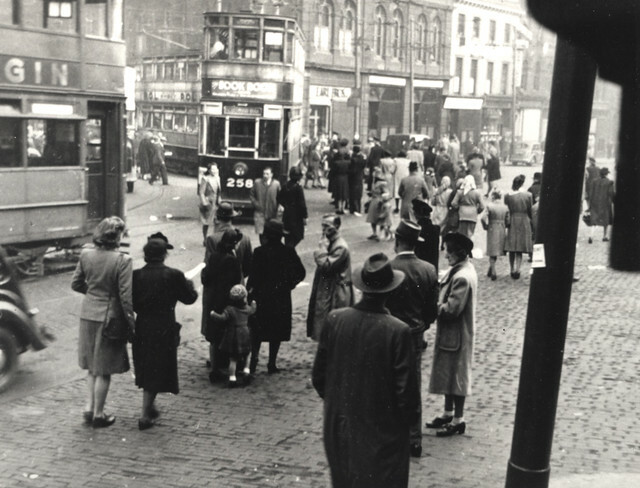 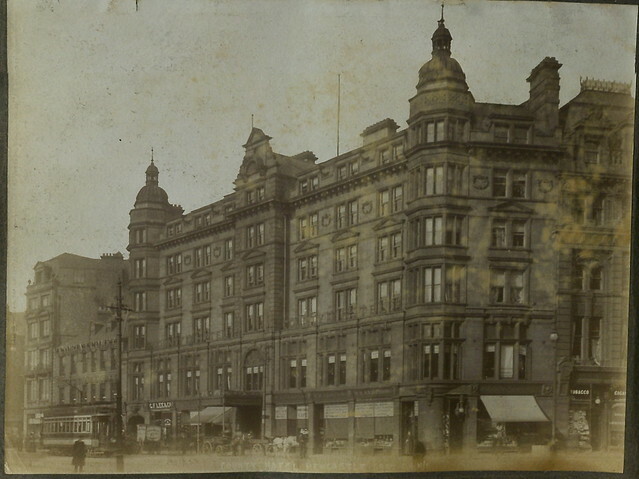 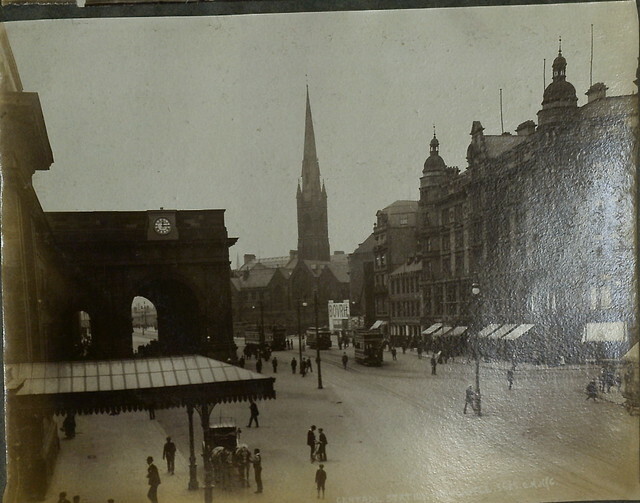 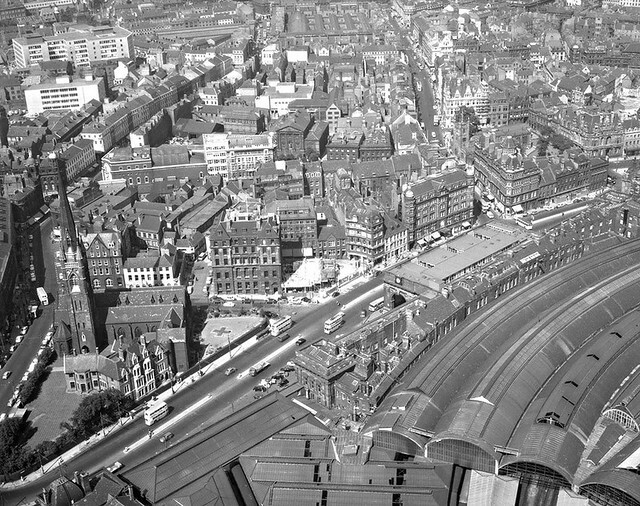 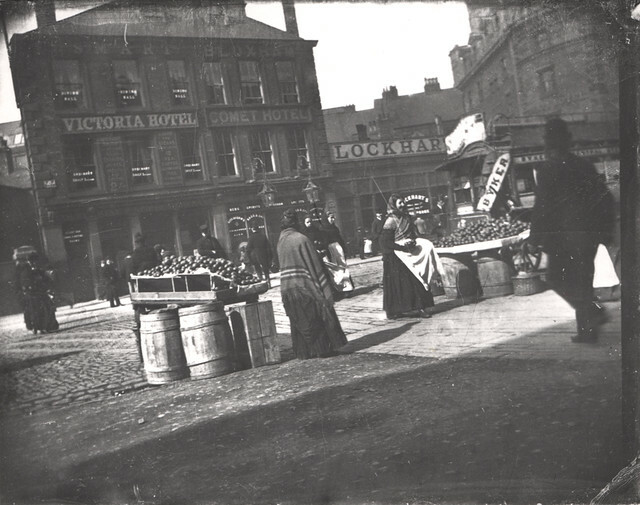 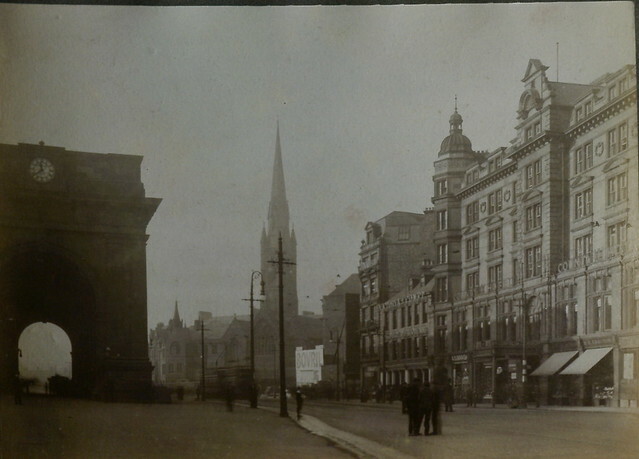 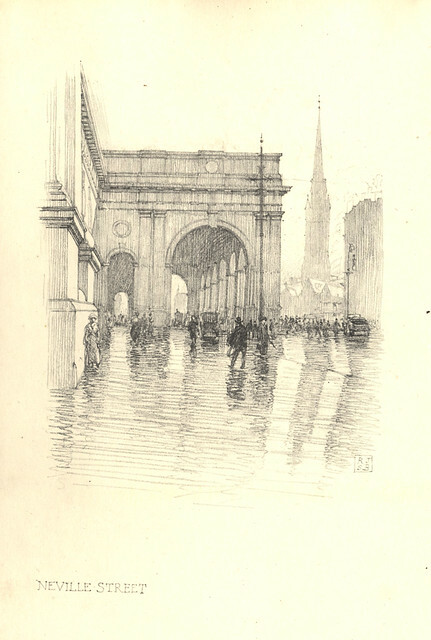 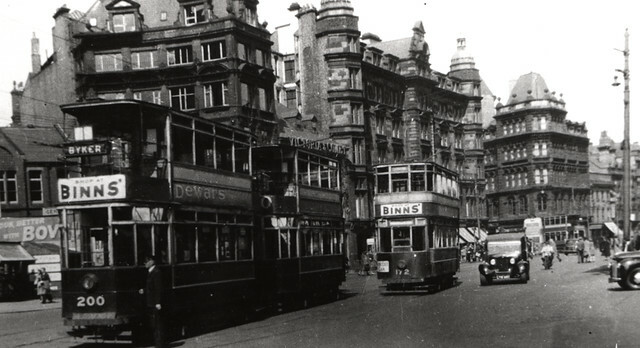 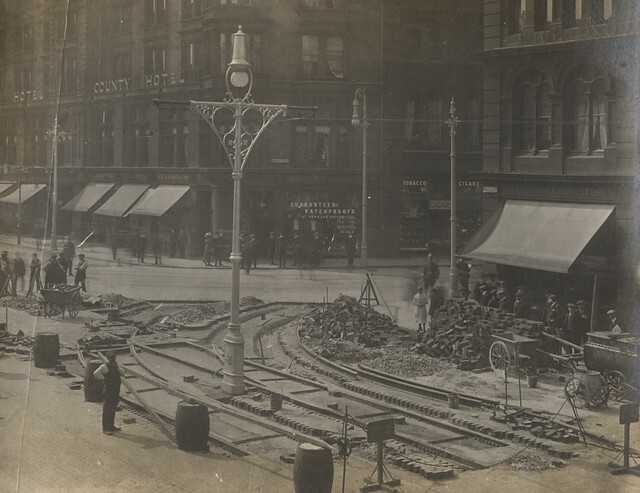 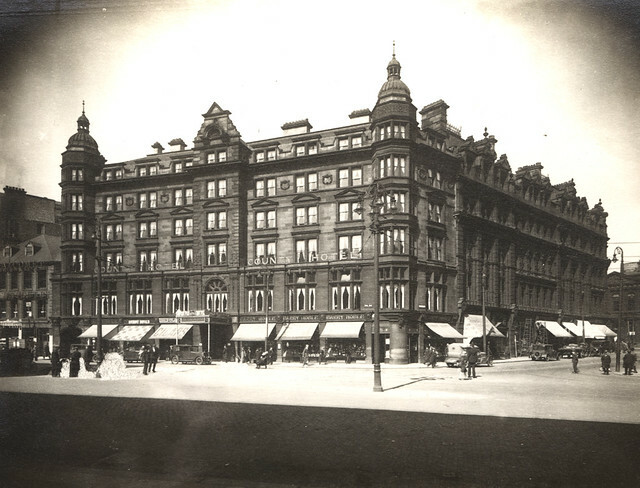 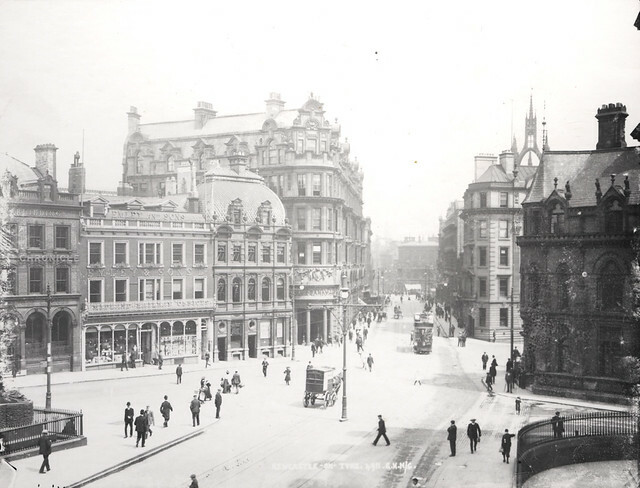 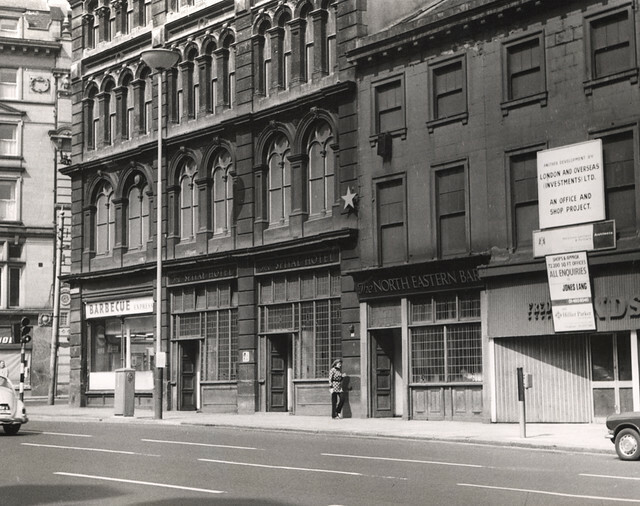 070745:Grainger Street Newcastle upon Tyne Unknown 190? 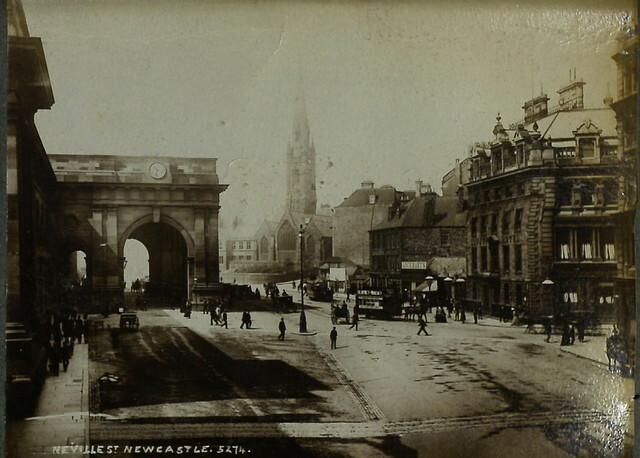 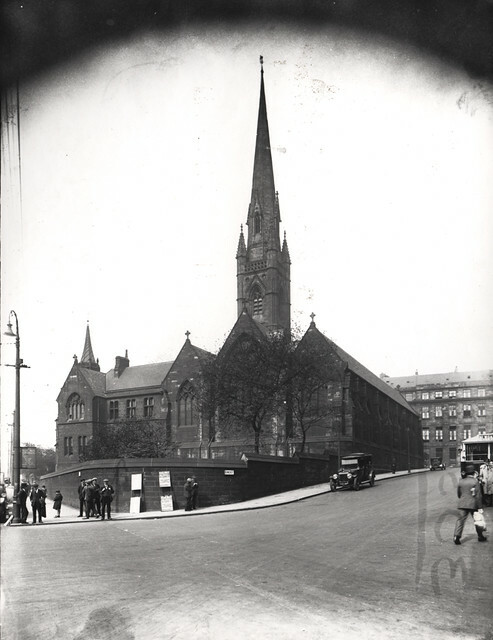 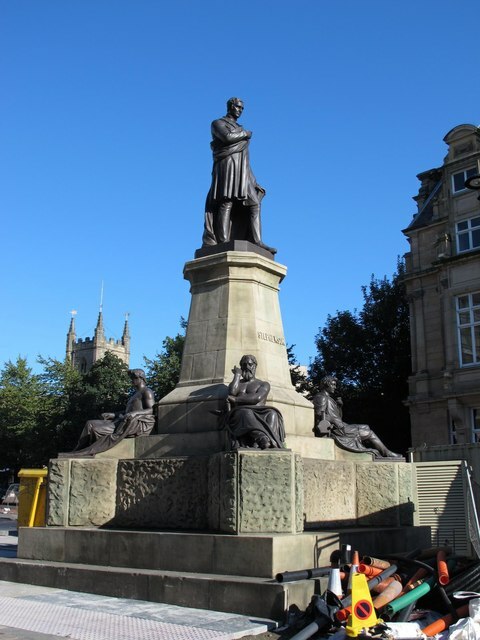 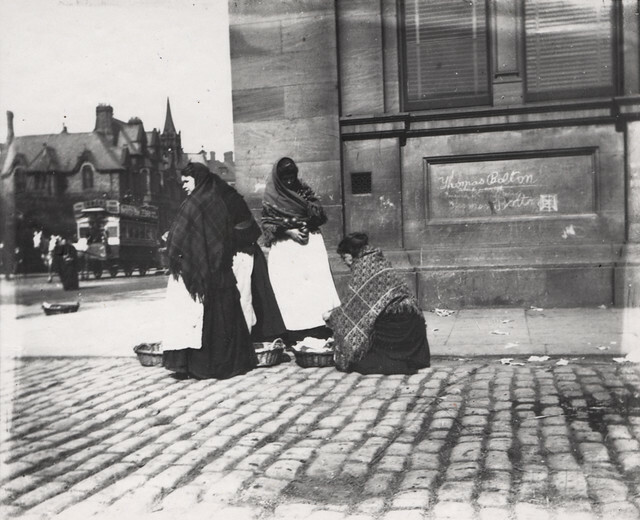 - "This was built in 1835 to connect Collingwood Street with Scotswood Road..."
- "Mid to late 19th century." 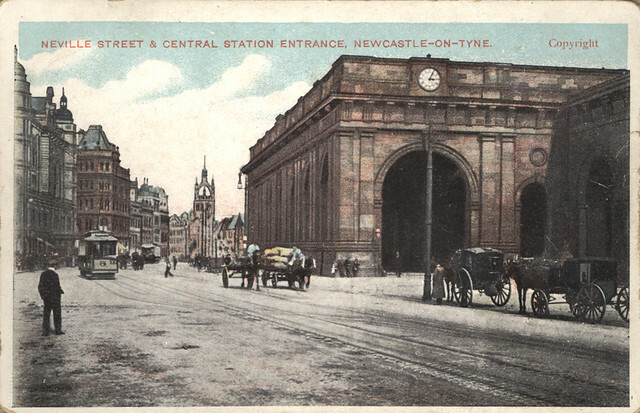 - "Goods station entrance. 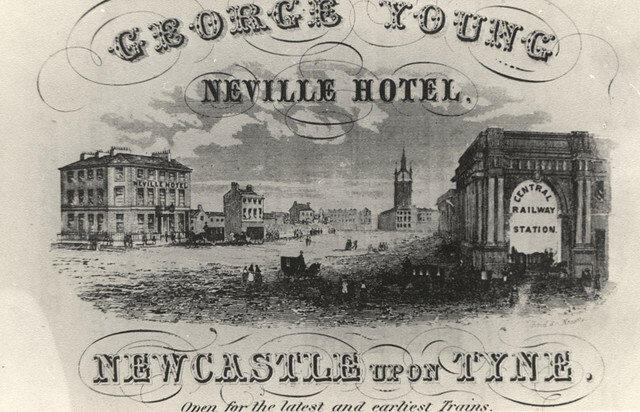 Circa 1870 for North Eastern Railway. 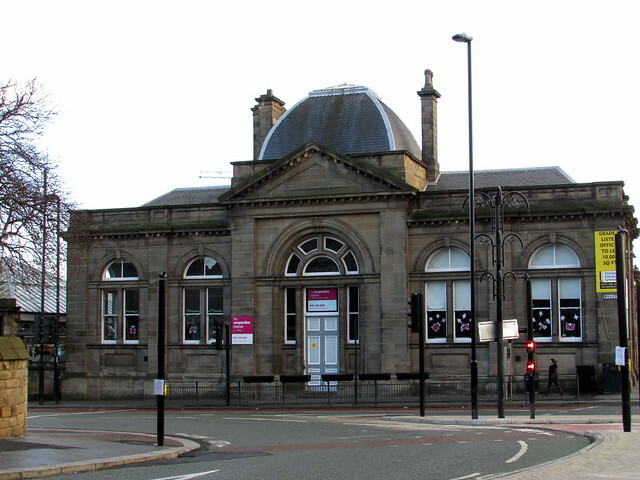 Sandstone ashlar; cast iron posts and brackets to glass canopies. 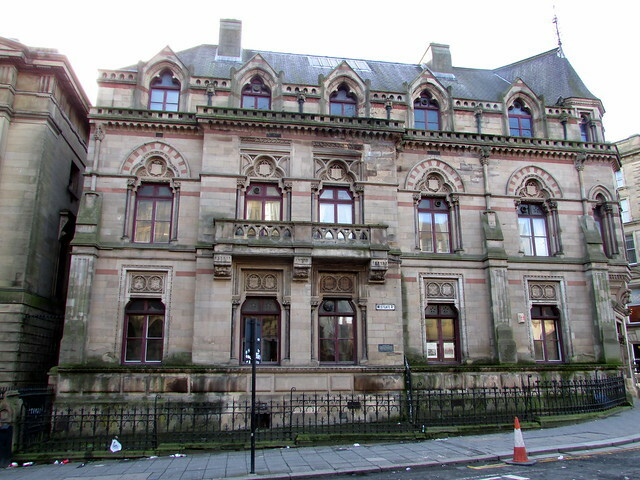 Front wall of one storey, 7 bays..."